I’ve got something super fun for you today!! 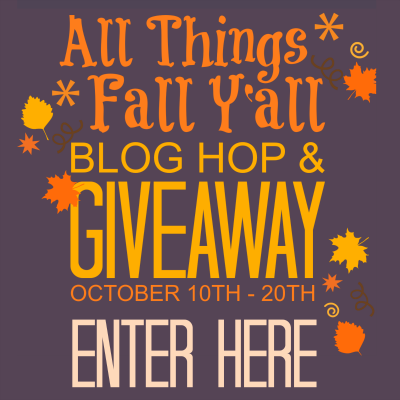 I am joining up with 70+ bloggers to bring you the All Things Fall Y’all Blog Hop & Giveaway! Have a blast hopping around each blog below to discover all of the creative crafts, DIYs, decor and recipes from these AMAZINGLY talented bloggers. 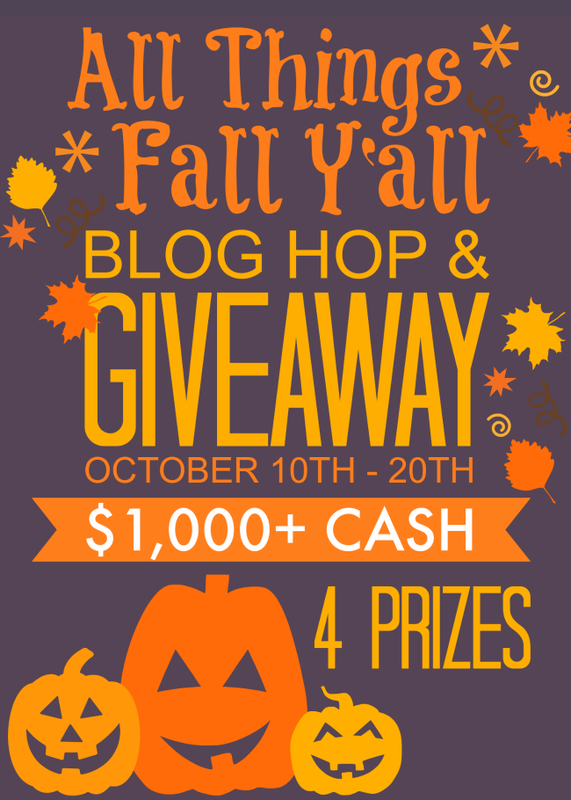 And last but certainly not least, enter for your chance to win one of four prizes totaling over $1,000! 4th PRIZE: $13 – Lucky number 13! Buy yourself a few pumpkin lattes!